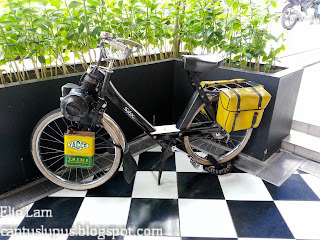 It's times when I write blog posts like these that I am most thankful to God that we could still occasionally enjoy the finer things in life albeit the fact that it isn't very necessary. It leads me to wonder if the quote "eat to live or live to eat" runs both ways. 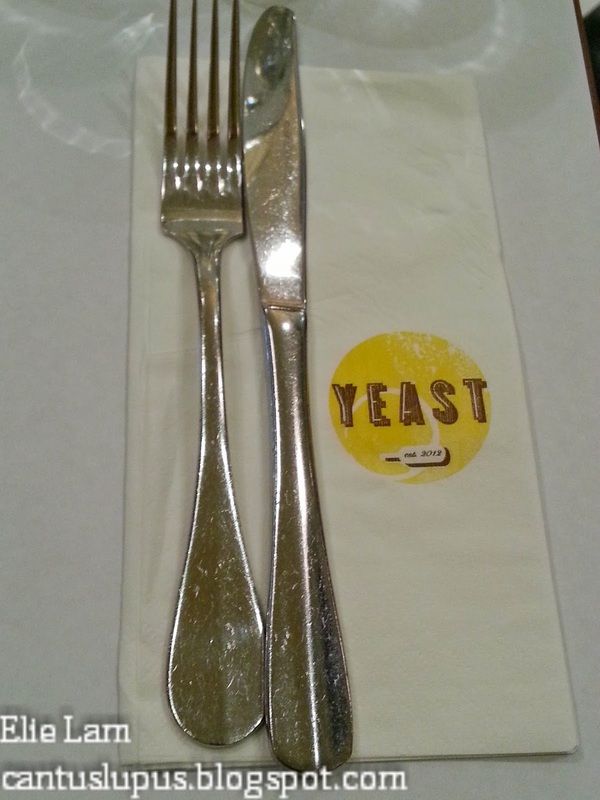 But my weird mind aside, let's get talking about YEAST Bistronomy. 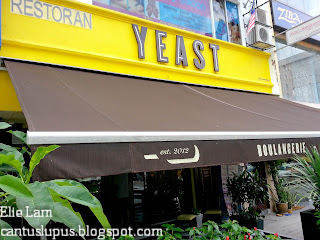 Seated smack in the middle of the very prominent Bangsar Baru, YEAST is fairly hard to miss especially with the outstanding black fonts over a bright yellow background as their signage. 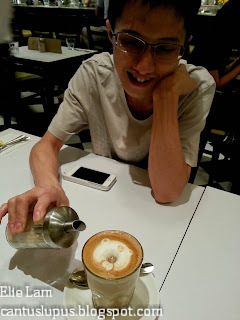 I had wanted to bring mum to Poco Homemade after much raving to her about it but they were still closed when we got there (It was about 11.30 AM, they open at 12 PM) so Chef suggested we just go over to YEAST instead. If in the event you really do miss out on the signage, an easy spotting is that it's just a shop away from the infamous Antipodean in Jalan Telawi. P/S: Word has it that Antipodean is a little below par these days. Anyone to reconfirm on that? 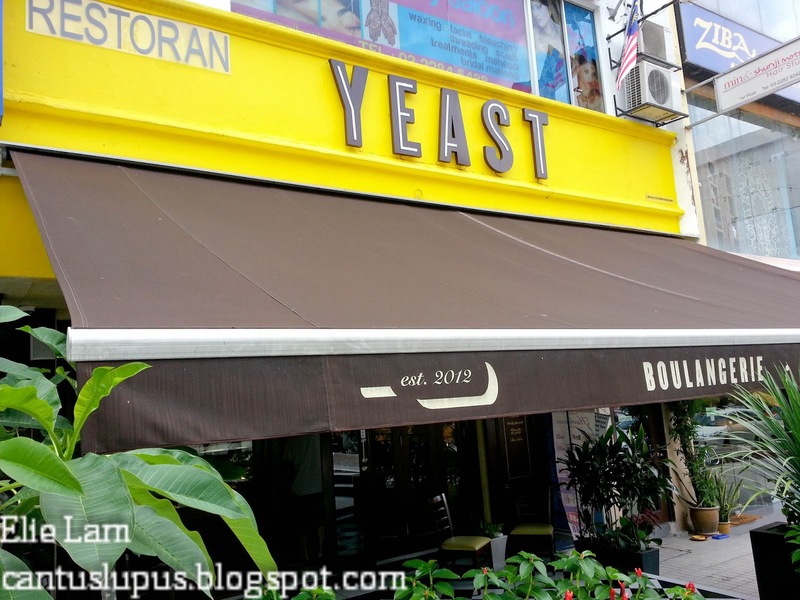 Welcome to the doors of YEAST where inside stores the scents and goodness of fluffy flours and yellowish butter. (Which really explains the yellow signage!) I thought the storefront gave quite a touch to the regularly boring storefronts with it's wooden built and see through glass. They also had this antique looking bike parked outside for decorative purpose so if you're walking past without looking at the signage above, this could be your cue to know you're at the right YEAST. Look at that golden colour on the puffs! Spot the croissants! 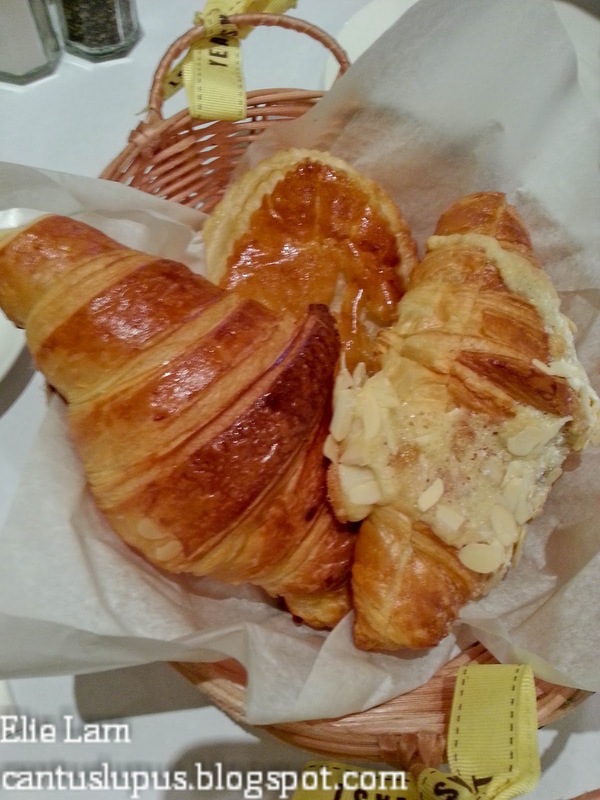 I loveeeeeeeeeee croissants! When you step into YEAST, the first thing that would ever hit you is the scent of the restaurant itself. It's literally so breathtaking, my father would probably stop breathing. 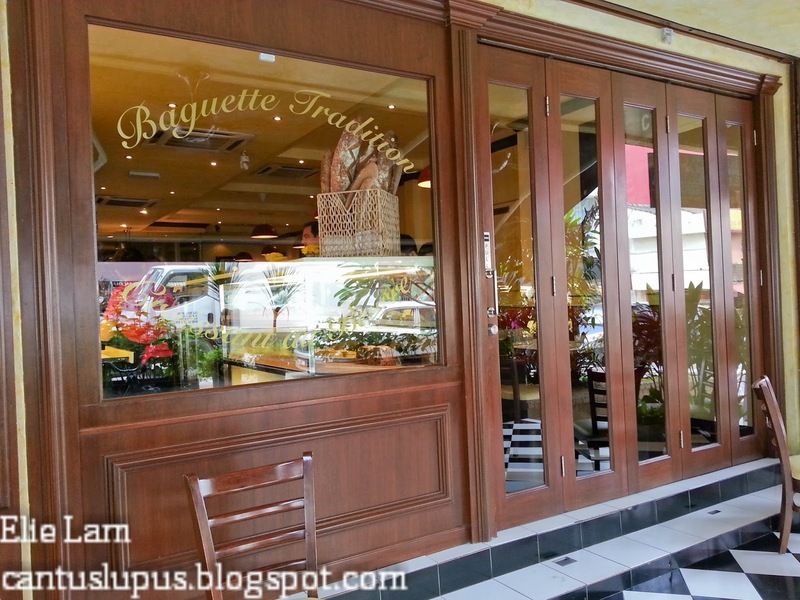 Every little corner of the place was filled with the aroma of freshly baked pastries and wafts of fluffy, buttery puffs. I was completely smitten and there was nothing I wanted more than to try each and every one of them. OM NOM NOM. 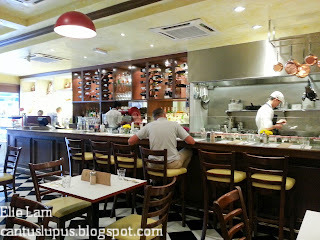 The interior of YEAST is relatively simple with minimal tables for the crowd, a little bar area for those who enjoys a sip and an open kitchen - a sign that they are completely unafraid of copycats of the same line or to show off the cleanliness of a kitchen. It's a good sign, as I have been taught by Chef. The classy black and white tiled floor is a real good plus point for me because I seriously think it makes the place extra "French-y". 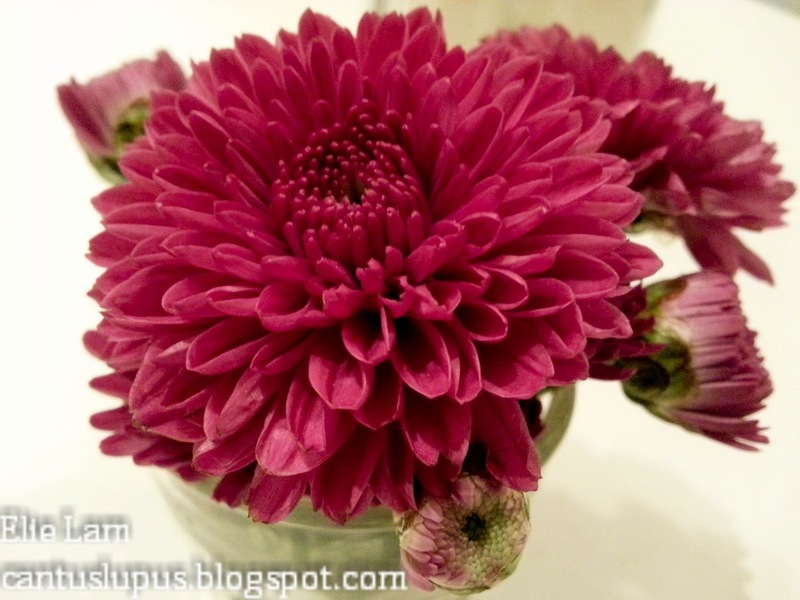 Flowers for every table. I'm sorry, I'm a sucker for flowers of all colours. 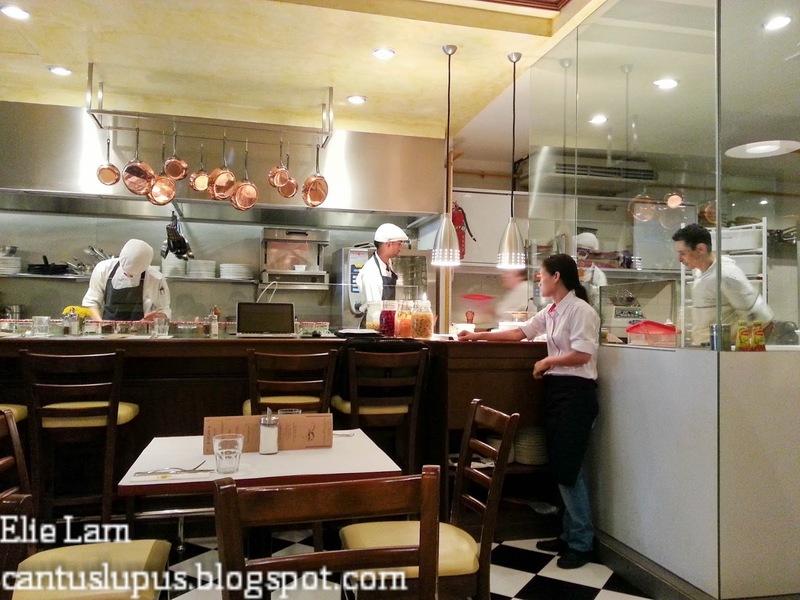 While I was snapping away happily of interiors, an "ang moh" from behind the counter came up to me and asked if he could help me with anything since I was taking pictures. I felt a little intimidated because he was first of all, fairly tall compared to the shorty in me and second of all, he made me feel like I shouldn't be doing it. So I explained how I liked doing reviews for new places in my eyes and he didn't seem too please. Dear "ang moh" uhm...possibly owner, please don't do that to your customers. It gets a bit scary. I understand the need to be friendly to those who walk in and you try to strike up simple conversations but our tone was a little harsh and I was just a teeny, weeny bit offended slash intimidated. Latte @ RM 9.00 a glass. OH MY GOD HOW DOES ANYONE MAKE COFFEE ART SO FREAKING ADORABLE?! What was unfair was that this wasn't my order. 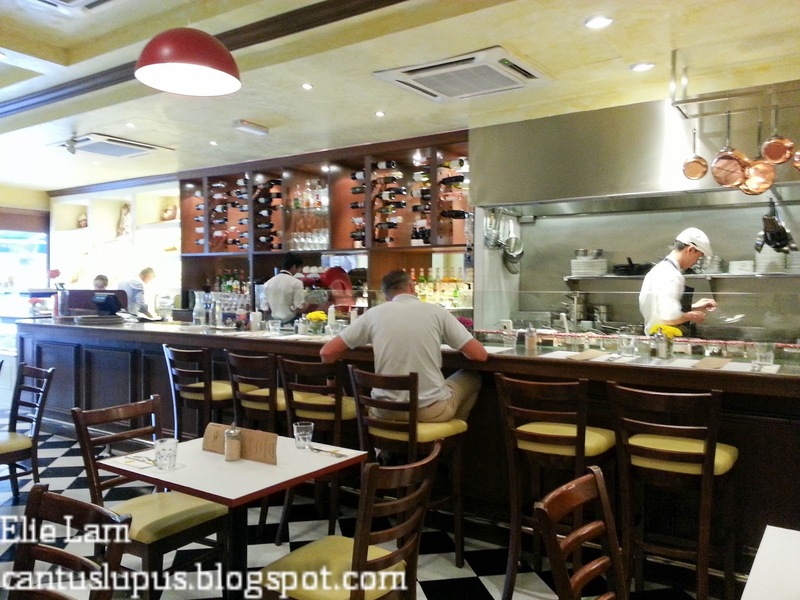 Chef had ordered for a latte as he had been at YEAST before this and commented that they do serve decent coffee. This came for HIM and I was having a jealous moment because mine wasn't as cute. Then again if it were mine, I would probably NEVER drink it. BUT IT'S SO CUTEEEEEE. 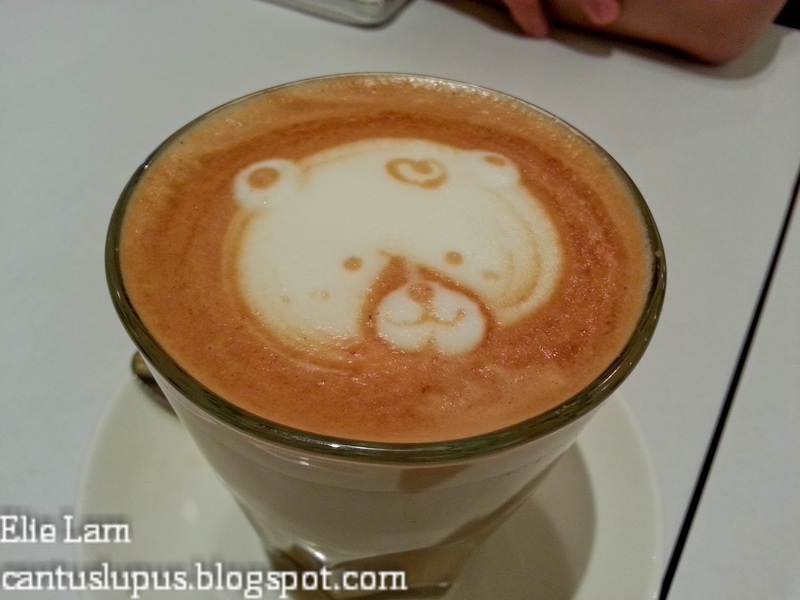 Chef sipping away on the bear latte. 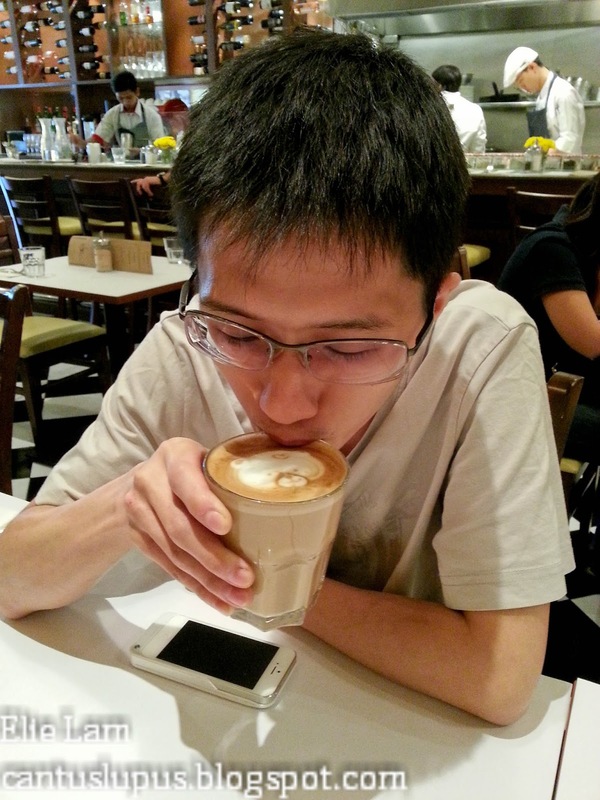 I did try out the latte and I felt like it was mediocre. The scent of it wasn't too strong but I liked it that way because I am no black coffee drinker. Minimal sugar should be added so you get that tiny hint of bitterness of course and I would actually recommend a latte if you head to YEAST. Mum picked out a long black and I didn't get a picture simply because there was no art in it anyway. 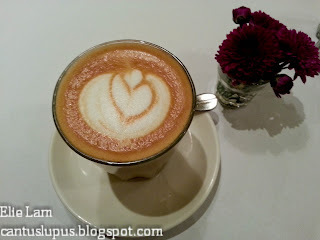 Hazelnut Latte @ RM 11.00 a glass. You guessed it. I picked out the hazelnut latte; simply because it said hazelnut. 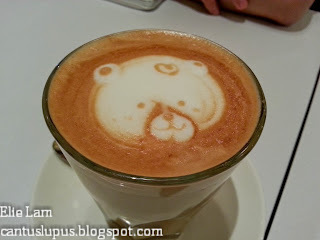 Clearly, the coffee art in my glass was not as special as the teddy in Chef's latte but I pretty much liked the taste in my order better. No sugar is needed because the hazelnut taste gives out a hint of sweetness that you already need and the faint scent of nuttiness was decent enough for my enjoyment. I simply HAD to make it sound really French with the name they had on the menu. Breakfast at YEAST is available till 3 PM daily so if you're a late riser, you could still catch breakfast and pretend like you've got a bad jet lag. Here we have 2 soft poached eggs on Brioche toast with smoked turkey, bearnaise sauce and greens. 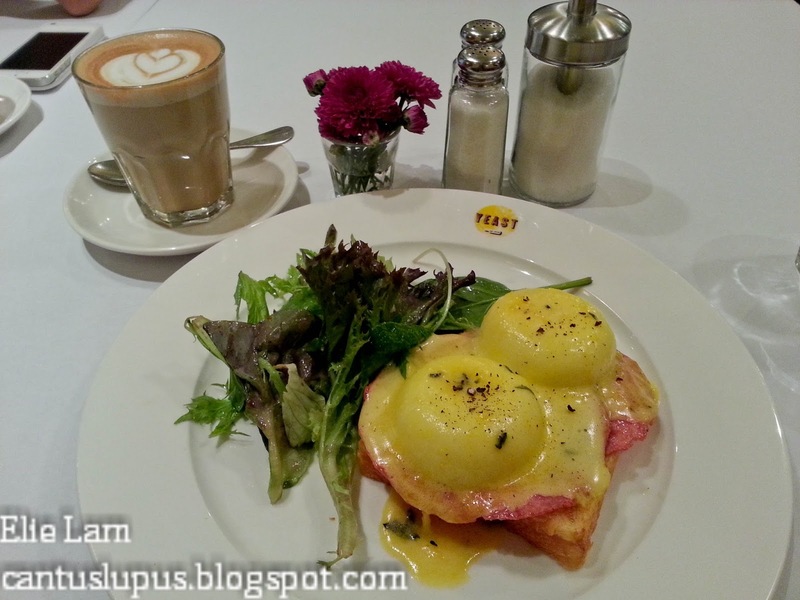 Unlike regular eggs benedict dishes, I noticed how they weren't using hollandaise sauce. Correct me if I'm wrong but I picked up very distinctive herb tastes from this dish and I fairly enjoyed it. The smoked turkey however was a little on the salty side and if that could be fine tuned, it could be a really good dish. *Shivers* Everything sounds so French. Starting off with the RM 4 croissant, I thought it was the bomb. I absolutely love croissants (as if I didn't already say that enough above) because they're usually buttery, flaky, soft, fluffy and it has all these unexplainable joy in every bite. 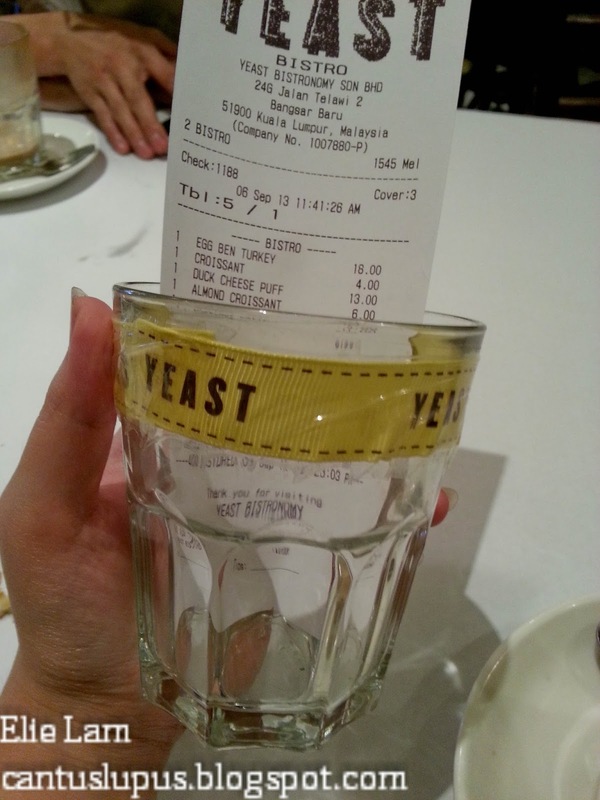 That's exactly what I've found from YEAST's croissant albeit a little steep on pricing for me. It was of a good size though and I was really glad to have tried it. I would still drop by for a piece or two when I do have the money for it. 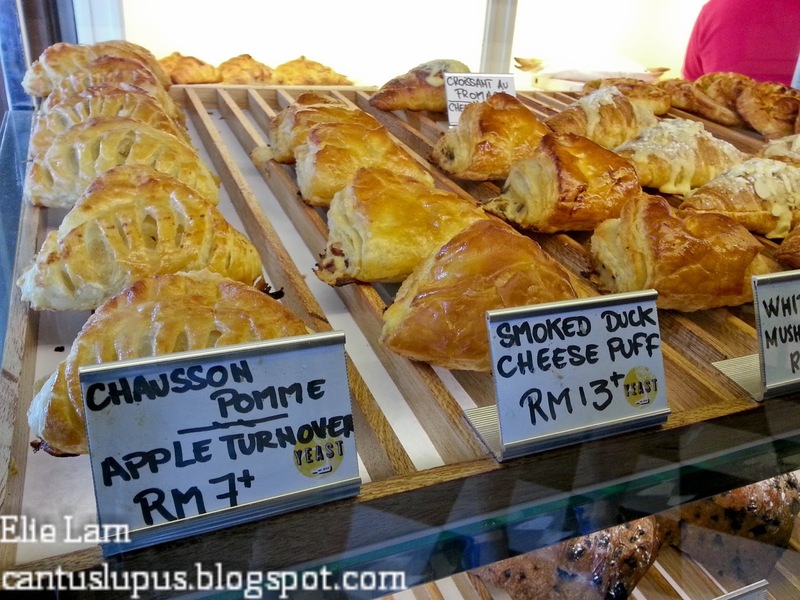 Chausson au Canard Fume et Gruyere really just stands for smoked duck & Gruyere cheese puff. Chef had ordered this because mum really wanted to try it but was a little worried the the Gruyere cheese would be too much to take. 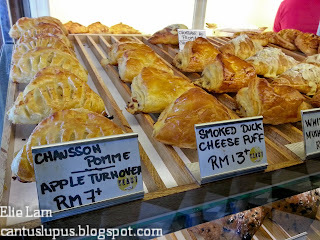 It costs RM 13.00 per puff which is fairly commendable for a tiny puff but the yummy factor balanced it out fairly. The gooey Gruyere cheese went great with the smoked duck smell, so much so I almost wanted to ignore my eggs benedict and steal this off Chef's hands instead. Croissant aux Amandes is really just almond croissant; a tiny twist away from regular croissants being that it has a generous amount of almonds topped above it all. I thought it was great but I much preferred my regular croissant. 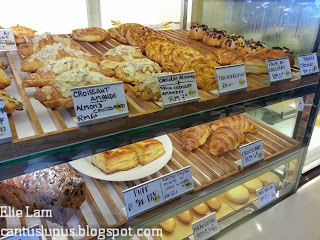 At RM 6.00 per piece, I felt that it was a little too sweet for croissant enjoyment though it could be a good bite for times when you're having a sweet tooth craving. It was also less fluffy compared to plain croissants and you don't get the epic buttery smell that you should crave when having a good piece of pastry. Our bill came in this! 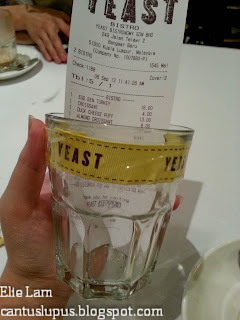 I really like it when these eateries break out from boring old black books when we ask for the bill and YEAST hit the note with using regular glasses and places the bill in it. 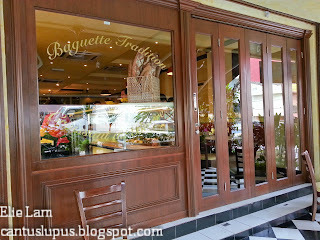 It probably isn't as grand as the bill box that Tokyo Pastry brings but I enjoyed seeing it in the glass anyway. 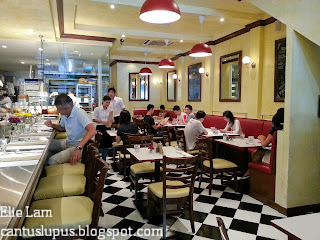 We hit a total of RM 76.56 including taxes and service charge which in my opinions is okay. 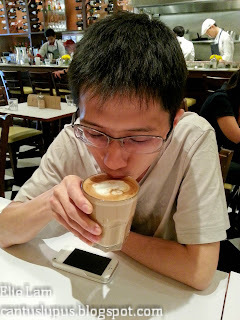 We spent much more at Antipodean previously anyway. Service wise, I thought they were okay if you omit the "ang moh" incident I mentioned above. Maybe I shouldn't have gone trigger happy with snapping. 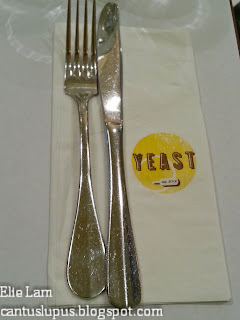 YEAST is worthy of a revisit for me and perhaps I'll pick out a dinner day to try out their dinner menu instead. Booking is required however (Which is why the surprise birthday party for Rebecca failed a few months back...) so that's your cue to pick up the phone.